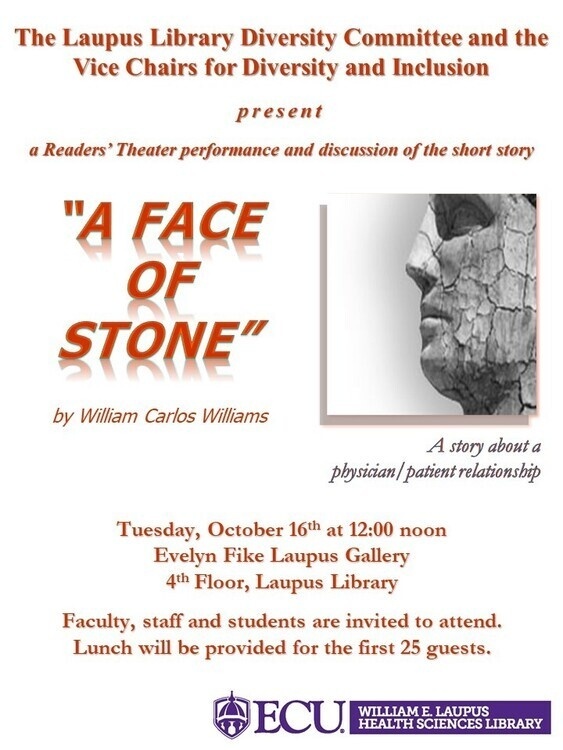 "A Face of Stone" by William Carlos Williams...A story about physician/patient relationship, followed by a discussion of the short story. Featuring faculty, staff and student readers. Everyone is invited to attend. Lunch will be provided for the first 25 guests.